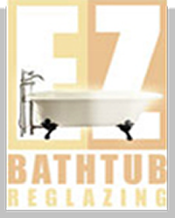 At EZ Bathtub Reglazing of San Jose, California, our standard deluxe package provides you with the highest quality bathtub reglazing available anywhere at affordable rates. We fix most chips and scratches for free. Receive a free recaulk of your reglazed bathtub. With every tub, we will remove your shower glass door and put back for free if we need to. Many reglazing companies charge extra or simply don't offer this service. We not only want you to have a beautiful bathtub, but we also want you and your family to enjoy your new surface safely. Transform dull, worn, unsightly bathroom fixtures with a brilliant new finish in just a few hours. Our system leaves no mess or odor behind and offers same-day use. 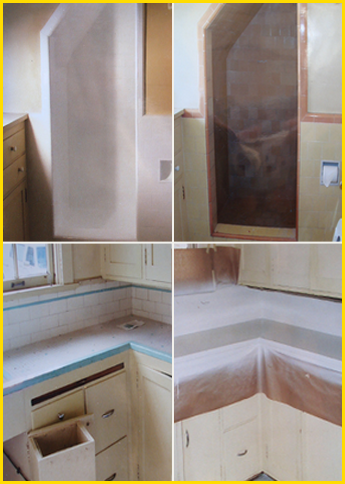 EZ Bathtub Reglazing gives you a shiny, durable finish that makes your bathroom and kitchen look brand new. We offer competitive prices, and all of our work is backed by a five year warranty. Our commercial hotel, motel, and apartment clients particularly appreciate the minimum disruption, same day use, and easy maintenance. Commercial bulk rates are also available. All this is included in our below market priced Deluxe reglazing Package. Even brand new tubs may be damaged, resulting in unsightly black marks. Through our special color matching and chip repair process, we repair all kinds of damages. Multiple unit rates are available.